The concept of symmetry has widespread manifestations and many diverse applications—from architecture to mathematics to science. Yet, as twentieth-century physics has revealed, symmetry has a special, central role in nature, one that is occasionally and enigmatically violated. Fearful Symmetry brings the incredible discoveries of the juxtaposition of symmetry and asymmetry in contemporary physics within everyones grasp. A. Zee, a distinguished physicist and skillful expositor, tells the exciting story of how contemporary theoretical physicists are following Einstein in their search for the beauty and simplicity of Nature. 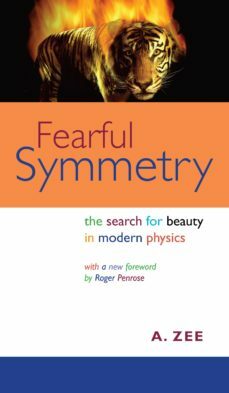 Animated by a sense of reverence and whimsy, Fearful Symmetry describes the majestic sweep and accomplishments of twentieth-century physics—one of the greatest chapters in the intellectual history of humankind.